For the first time since the Virginia Governor's Cup Competition was revamped in 2012, a white wine has claimed Best in Show. Horton Vineyards' 2016 Petit Manseng bested over 500 wines from 102 wineries to earn the 2019 Governor's Cup. The Horton Petit Manseng is 100 percent dry, finished with a touch of Viognier and Rkatsiteli (5 percent each) to produce an aromatic wine with intense flavors. The wine is modestly priced at $25. 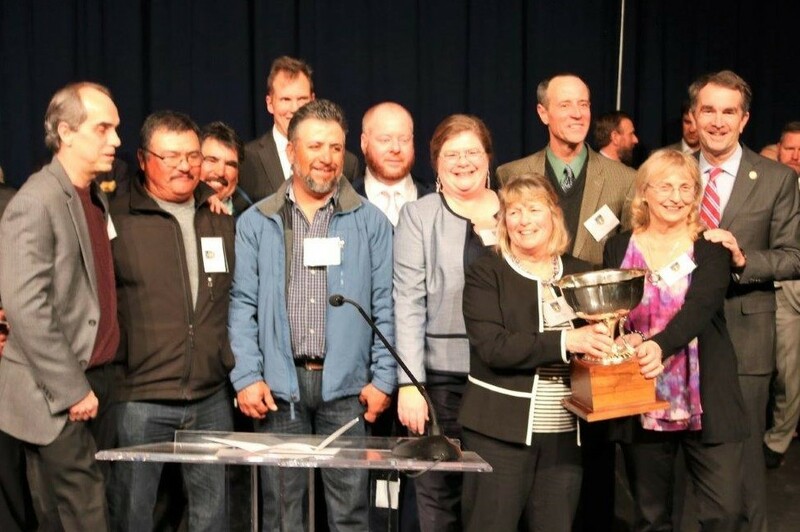 Sharon Horton, who runs the agricultural side of the venture, called the entire team up to celebrate Horton's Governor's Cup Victory. Horton Vineyards is one of the pioneers in the modern Virginia wine world, currently celebrating its 30th Anniversary. Founder Dennis Horton passed away last summer, but his legacy lives on in his wines and wines throughout the Commonwealth. It was Horton who brought Petit Manseng to Virginia in the late 1990s. He also is responsible for bringing Viognier (now the official state grape) to Virginia in 1989. 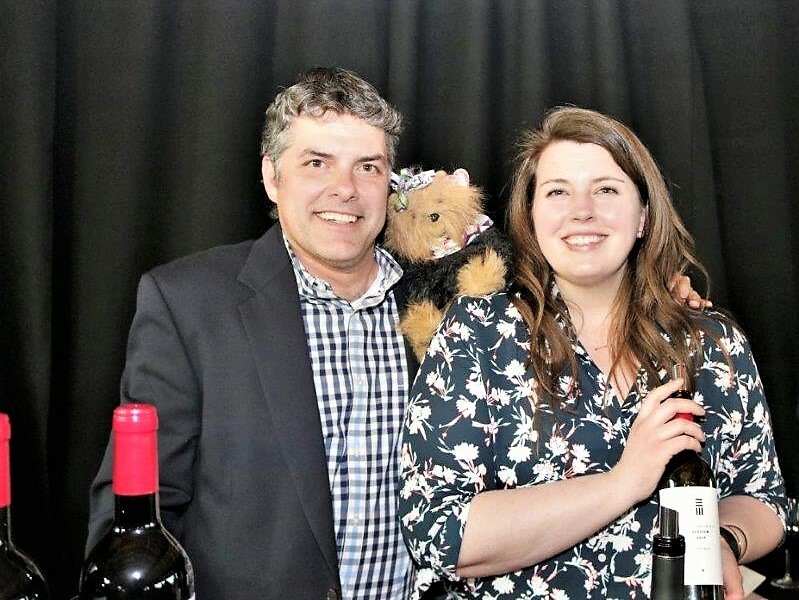 Caitlin, Shannon and Dennis Horton in 2017 with Virginia's signature Viognier, the only dry white to make the Governor's Cup Case that year. 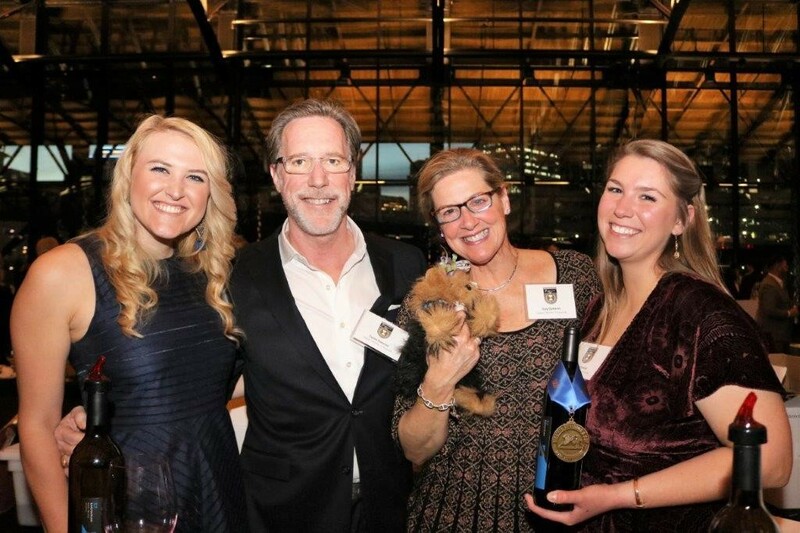 Two other pillars of the Virginia wine industry also were honored at the Governor's Cup Gala. 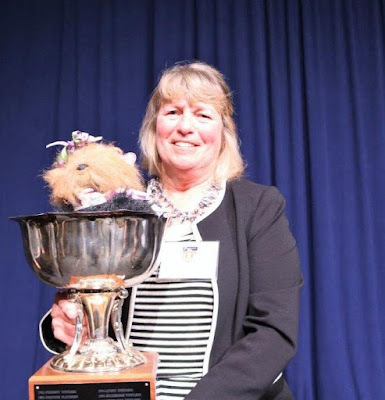 Mitzi Batterson of James River Cellars was recognized as the 2019 Virginia Wineries Association Wine Person of the Year. Batterson is a former President of the Virginia Wineries Association and has been a leader in revamping the Governor’s Cup Competition and starting the Virginia Wine Co-op. 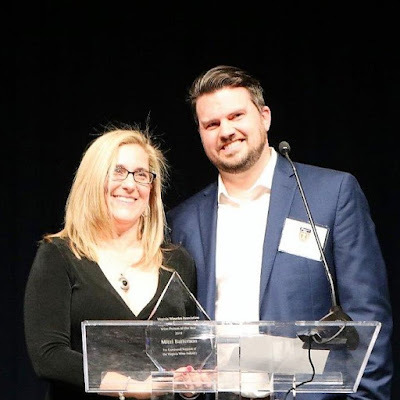 Mitzi Batterson of James River Cellars receives the Wine Person of the Year award from Justin Rose (Rosemont of Virginia), President of the Virginia Wineries Association. 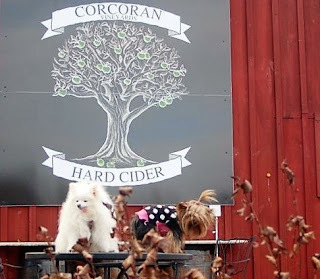 The Gordon Murchie Lifetime Achievement Award went to Jim Corcoran of Corcoran Vineyards and Cidery (Wine Dogs Ecco and Pomeroy had a wonderful visit to Corcoran in 2014). Corcoran was instrumental in creation of the Virginia Wine Distribution Company and has chaired the Virginia Wine Council. 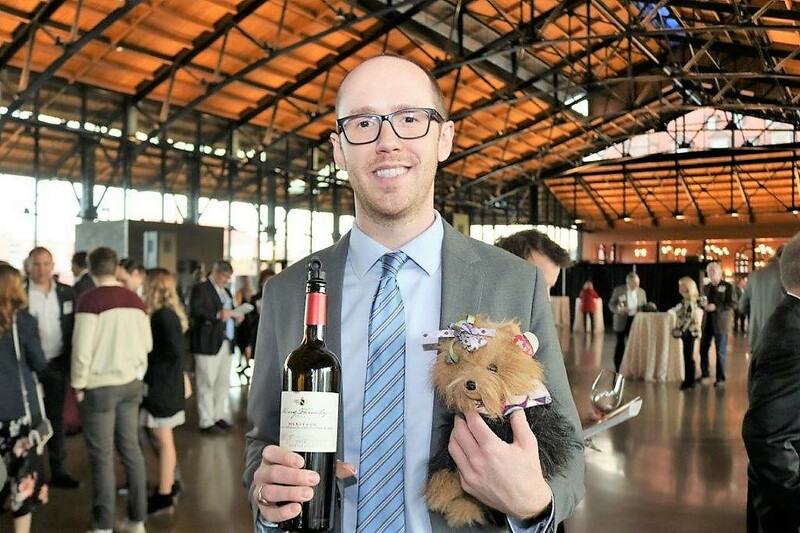 Since 2010 he has served on the Loudoun County Chamber Board of Directors, representing the Virginia Wine Industry in the county that today boasts the largest number of wineries in Virginia. All 68 Gold Medal wines from the competition were showcased at the Gala, with special recognition given to the top 12 (including the Horton Petit Manseng), which will comprise this year's Governor's Cup Case. Read about them here. Sharon Horton shares a Governor's Cup moment with York, who was well into his cups by the Gala ended. Representatives of the nine wineries in the Governor's Cup Case await Governor Ralph Northam's announcement of the winner of the 2019 Governor's Cup. 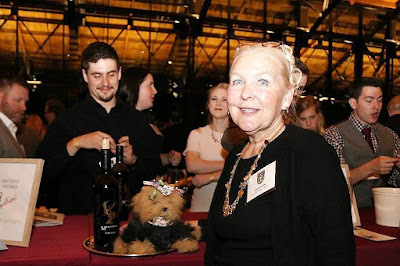 With upwards of 300 wineries in Virginia, sniffing out the cream of the crop is no easy task, even for the most seasoned Wine Dog. 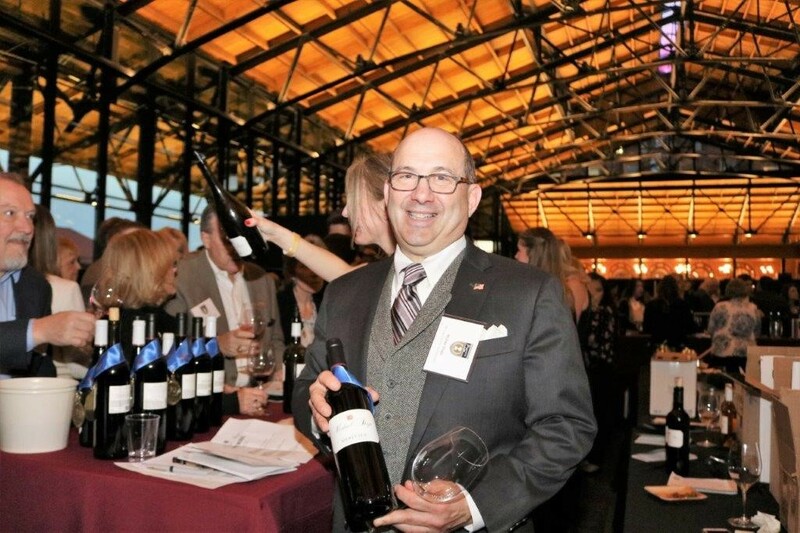 Virginia’s Governor’s Cup Competition assembles a distinguished panel of judges under the direction of Master of Wine Jay Youmans to help shine a spotlight on the top-producers in the industry and on emerging trends. 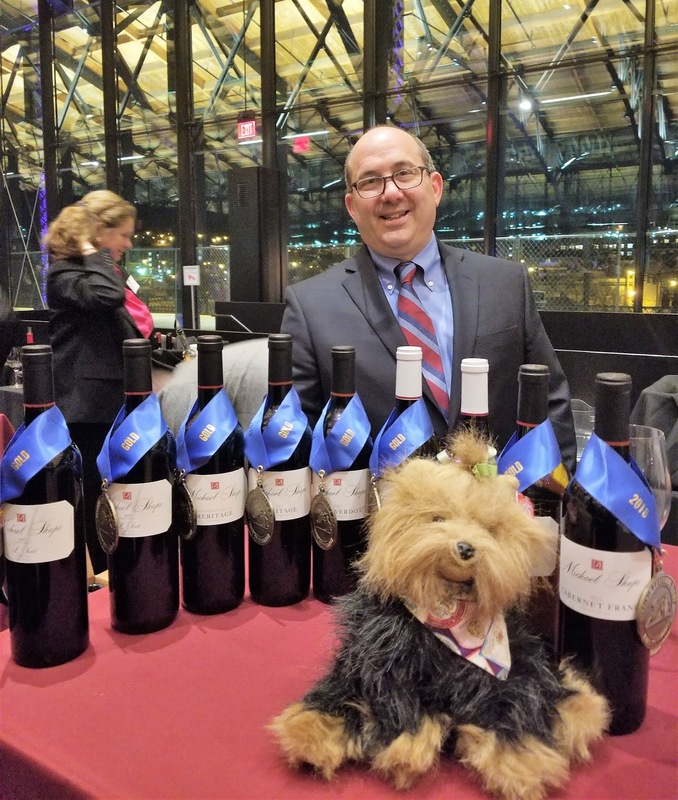 A Wine Dogs “paws up” to each of the nine wineries whose 12 wines make up the Governor's Cup Case this year. York (serving as stunt double for Ecco at the Governor's Cup Gala) consults with Jay Youmans, judging director for the 2019 Virginia Govenror's Cup Competition. A few observations from this year’s case. Red blends continue to be palate pleasers. This year’s top Reds include six blends (with Merlot the dominant grape in five of them), along with a Cabernet Franc and a Tannat. Petit Manseng is living up to expectations as a rising star in Virginia, claiming two spots in the case as a pure varietal (including the Governor’s Cup winner from Horton) and a third spot as the base of a desert wine. Vermentino rounds out the case. The man with the golden touch, Michael Shaps (Virginia Wineworks), with a view of his gold medal winners. As noted in an earlier post, Michael Shaps has become King of the Golds in Virginia. He crafted five of the wines in the case (and 22 of the 68 gold medal winners), including wines for case first-timers Hamlet and Upper Shirley. 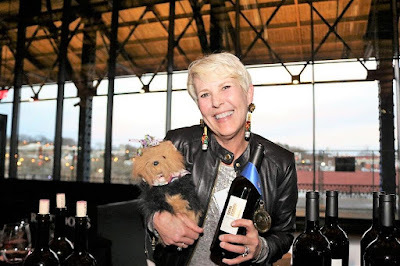 If you are looking to sample Virginia's finest, follow the Wine Dogs' lead and put these on your list. Barboursville Vineyards earned four golds this year, claiming a spot in the case with the 2017 Vermentino Reserve, which the Wine Dogs predict will be a fabulous summer sipper. 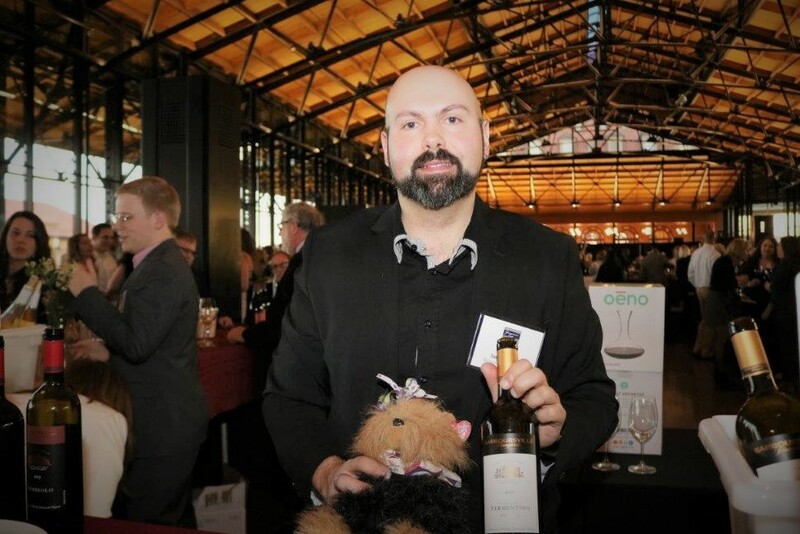 Barboursville’s associate winemaker Daniele Tessora treats York to tastes of Barboursville’s golden wines, including the signature Meritage blend, Octagon (the 2009 vintage won the Governor's cup in 2013). Early Mountain Vineyards blended Merlot from some of its oldest vines with Petit Verdot for the case-winning 2016 Eluvium, one of the winery’s four gold-medal winners. Early Mountain General Manager Dave Kostelnik and Associate Winemaker/Vitaculturist Maya Hood White let York compare the 2016 Eluvium to the 2015 vintage, a repeat gold medal winner which also made the case last year. Glen Manor Vineyards claimed a spot in the case for its 2015 Cabernet Franc (the most planted red grape in the Commonwealth and a Wine Dog favorite) and brought home gold for the 2015 St. Ruth. Glen Manor won the Governor’s Cup in 2012 for its 2009 Hodder Hill Red blend. 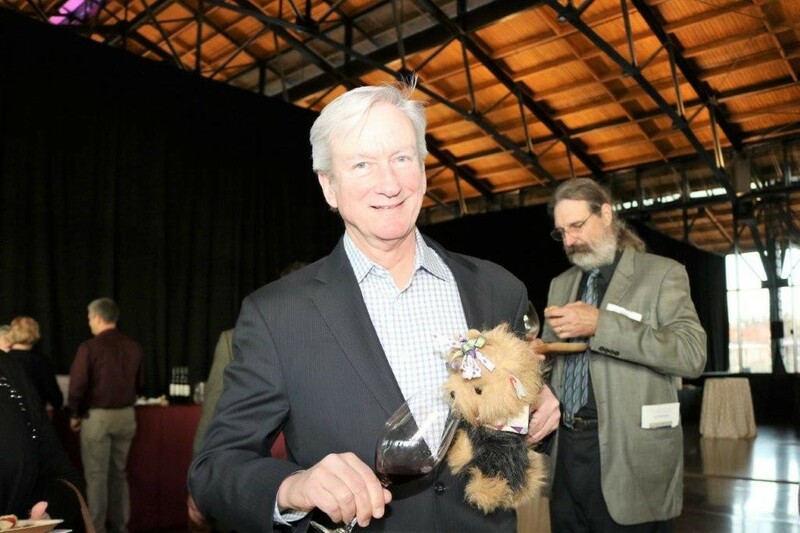 Glen Manor owner and winemaker Jeff White shares a taste of the 2015 Cabernet Franc with York. Horton Vineyards chose to make a completely dry Petit Manseng from its 2016 vintage, earning its first-ever Governor’s Cup for the effort. 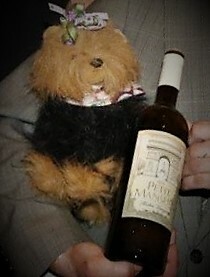 Founder Dennis Horton helped introduce Petit Manseng to Virginia. 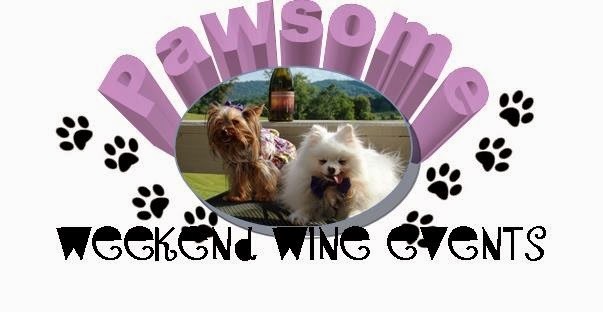 Read the Wine Dog report here. 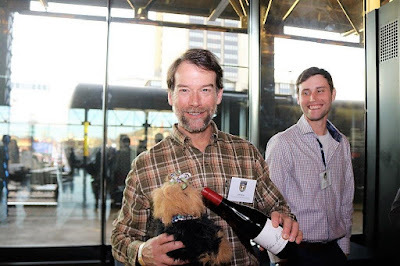 Horton’s Gilta Sekhri and Josh Sabatrinic can’t wait for the Wine Dogs to visit - and show off their wines. King Family Vineyards claimed two spots in the case this year for Red blends –the 2016 Mountain Plains and the 2016 Meritage. The 2014 Meritage won the Governor’s Cup last year. York congratulates King Family Winemaker Matthieu Finot on an impressive two wines in the case and four gold medals in the competition. Fairfax County’s only winery, Paradise Springs in Clifton, produced an outstanding Meritage from four of the Bordeaux noble varieties, leading with Petit Verdot. Paradise Springs’ Yorkie-loving founder Jane Kincheloe serves York a taste of the Meritage on a silver platter. New to the case this year is Hamlet Vineyards in Martinsville. The 2016 Eltham is a blend of Merlot and Petit Verdot produced by Michael Shaps. That the wine’s name is an anagram for the winery is purely coincidental. “This is what I was meant to do,” owner Virginia Hamlet says of her conversion from architecture to wine. Hamlet is dog friendly and features a vineyard dog, Enzo. The Governor’s Cup Case includes three wines under the Michael Shaps label – the 2016 Petit Manseng, the 2015 Tannat, and the 2016 Raisin d’Etre (the Petit Manseng that forms the wine’s base was air-dried in tobacco barns, essentially “raisining” the grapes, thus the name). 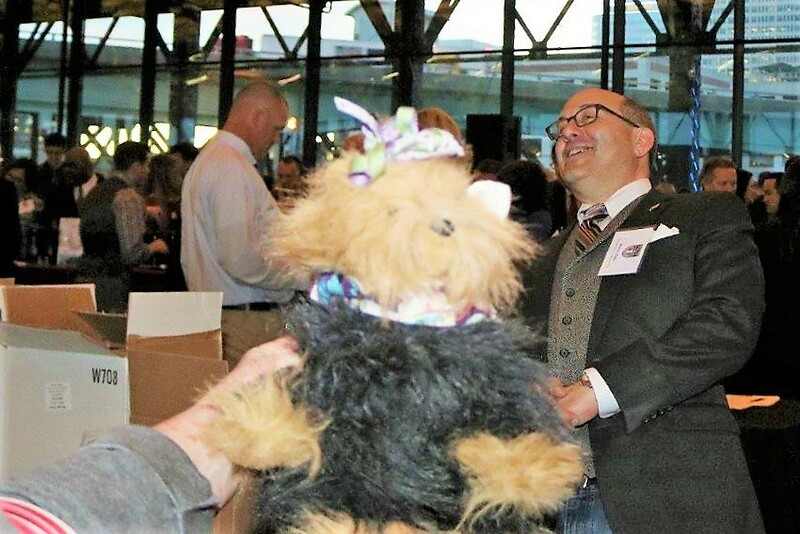 York photobombs Michael Shaps in conversation. The man with the golden touch may be shy about standing with dogs but stands behind his wines. Completing the case is a second newcomer and another member of the Michael Shaps stable, Upper Shirley Vineyards in Charles City, with the 2014 Zachariah. The Upper Shirley team, led by Tayloe and Susie Dameron (center), were bubbling over with excitement when they met York at Old City Bar before the Gala and continued celebrating all night. 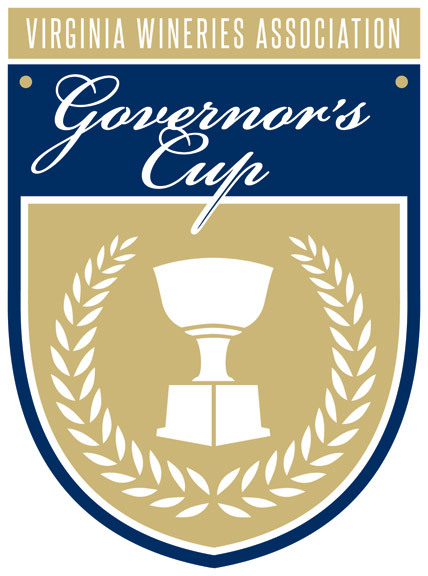 We are days away from learning who will win the 2019 Virginia Governor's Cup. What we do know is that 68 wines earned gold in the competition. This year's spirited competition included 510 wines from 102 Virginia wineries. For a full list of medal winners, click here. Paws up to Winemaker Michael Shaps whose Virginia Wine Works made nearly one-third (22) of the golden wines under his own label and for other wineries. Shaps purchased Shenandoah Vineyards, Virginia's second-oldest winery, in November. He believes the Shenandoah Valley has the state’s best grape growing potential and has thus far been under the radar. 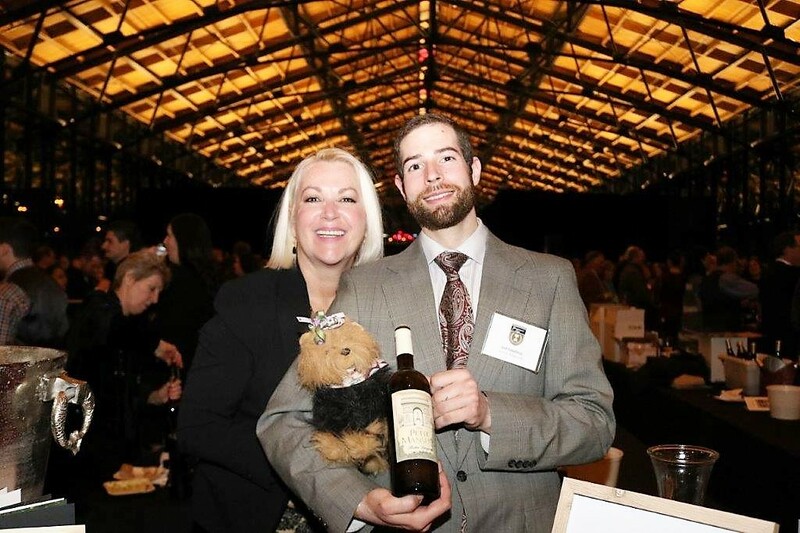 Michael Shaps continues to be King of the Golds, besting his 2018 performance with 22 winning wines. 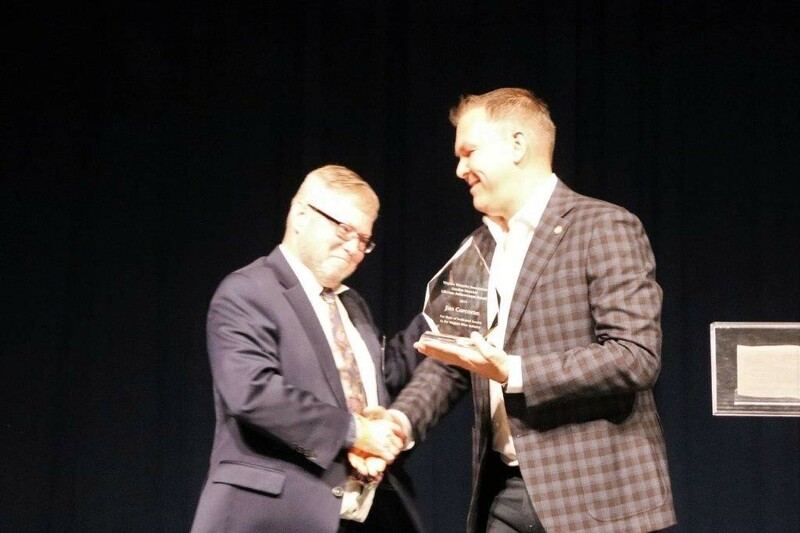 For the present, Central Virginia continues to dominate the competition, and Barboursville, Early Mountain, King Family, and Trump Winery each brought four golds back home to the region. The Wine Dogs will be reporting from the scene next Tuesday night to let you know who wins the cup and who makes the case this year.